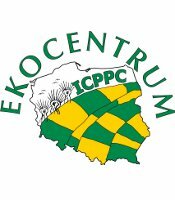 ICPPC has received confirmation today from the Ministry of the Environment that a letter stating Poland’s intention of applying for 8 GM opt-out’s has been sent to the European Commission in Brussels. The opt-outs cover all varieties of GM maize developed for use in agriculture. This result comes after Association for a GMO Free Poland and the International Coalition to Protect the Polish Countryside raised the alarm that the Polish government was failing to act on the GMO opt out clause. The opt-out, whose application deadline is October 3rd 2015, enables individual EU Countries to ban GM crop plantings. According to European Commission directives, the grounds for establishing a ban must then be considered by the corporations intending to market GM seeds within European Union Countries. The festival catalysed three days (Dec. 9,10,11) of hugely varied activities in support of maintaining the beauty and diversity of the Polish countryside – and an uncorrupted GMO free food chain. Ninety events/happenings were launched during these three days, including giant puppets, dedicated jazz and pop concerts, poetry readings, workshops, lectures, food tastings and film shows. All in all a great display of determination by Polish citizens to highlight their rejection of government and corporate attempts to force GM food down their throats and into their much loved countryside. Reports are flowing in from the various centres of activity – and it looks as though the local press had lots of unusual photo opportunities to keep them busy! ICPPC's co-directors tackled three engagements in one day in Krakow, giving talks on the imperative of becoming engaged in 'local food' community centred initiatives, as against 'global food' supermarket style consumerism: definitely the best way of knowing what your eating! These sessions took place in a culture house, a restaurant and a leading jazz club... where the audience appeared amazed to find even their music guaranteed GMO Free! We have been engaged in further attempts to raise public awareness of the renewed threat to Poland's GMO feed and seed bans, represented by the current government's process of capitulation to corporate and EU pro GMO pressures. "No entry! Genetically modified corn reserved for energy purposes. Protected by chemicals- Danger of causing cancer! " The corporate and political powers who aim to take a controlling influence over the food chain count on the majority of civil resistance being of a passive ‘dumbed down’ nature. They can tolerate a certain amount of ‘occasionally active’ interference in their master plan, but they do not tolerate genuinely active resistance. So those of us who hammer continuously on genetically modified corporate doors are monitored, harassed and generally marginalised by the prevailing ’status quo’ and its media poodles. European Parliament Proposals for Tighter GM Regulations Progress of Regress?